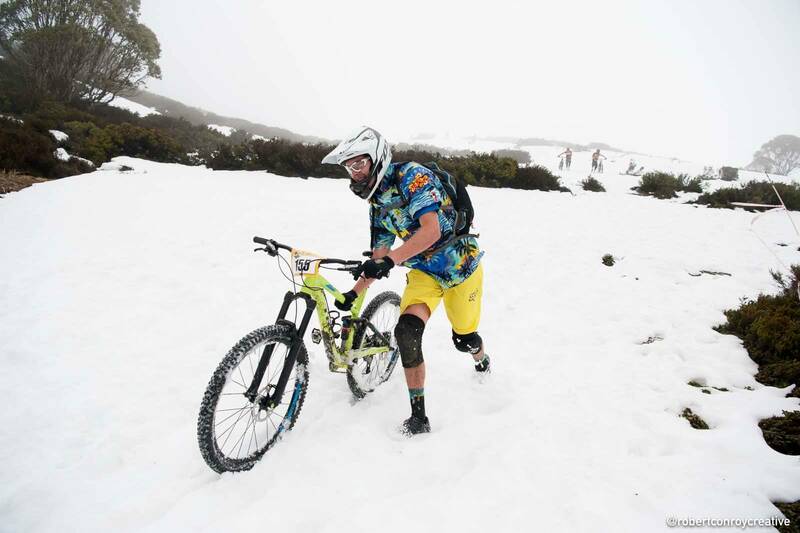 Ever raced a bike on snow? What about in Australia? 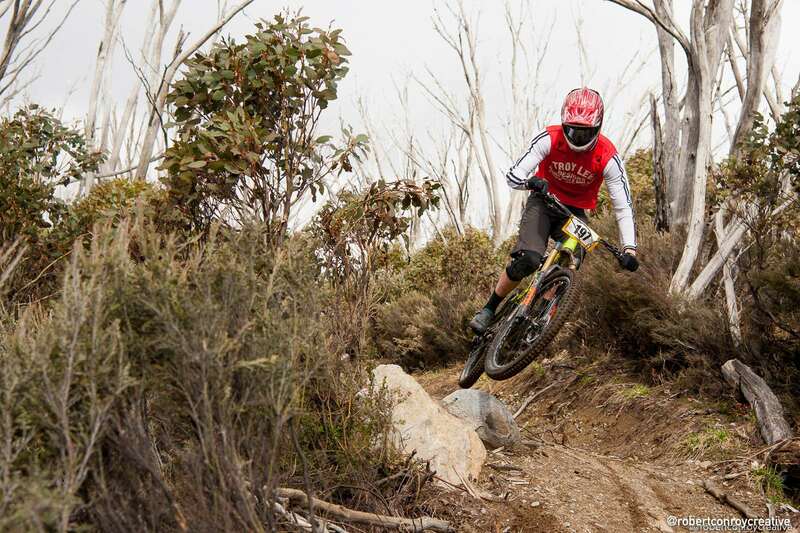 No, well check out our adventures at this years McKayos race in Falls Creek. 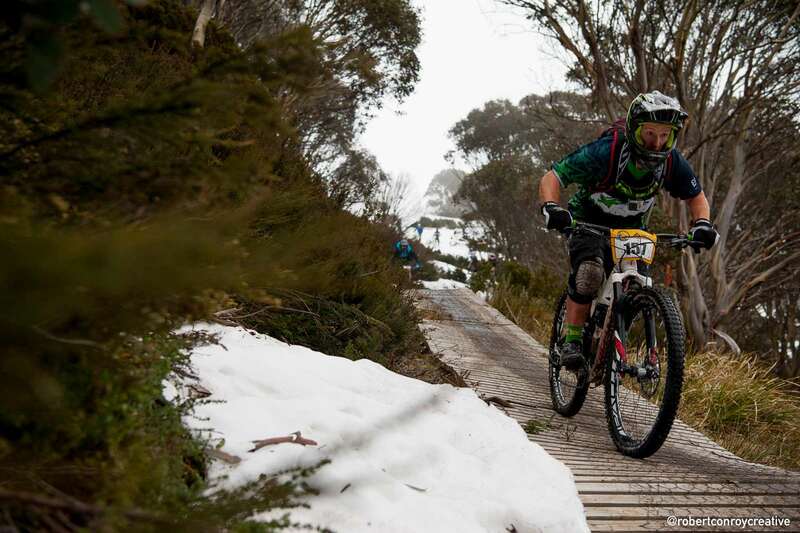 Everyone has heard of Megavalanche, the French Alps, the baguettes and the iconic race is the first thing that comes to mind when you see an image of Falls Creek’s McKayos event. 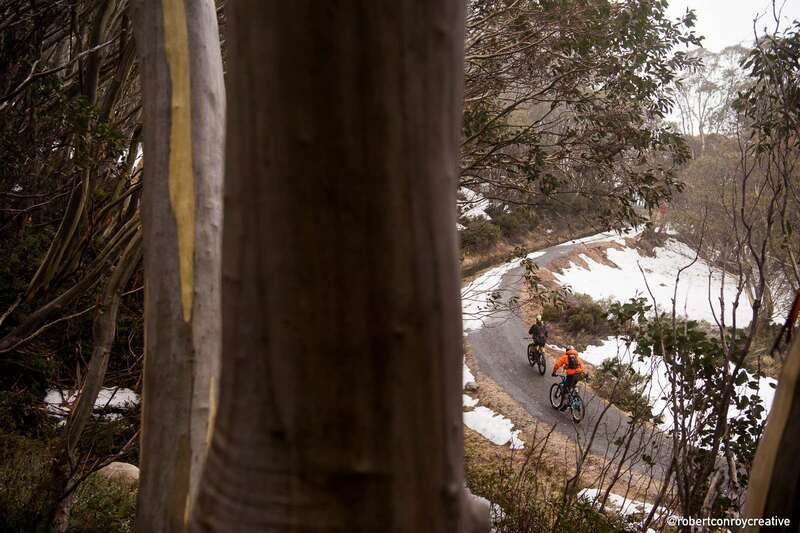 Only in its second year, you are less likely to have heard of McKayos, the race starts on the peak of Mount McKay where riders race through snow, down the road and over dirt to Bogong Village, several hundred metres below. Awesome right? So with the first year an all-round success we were chuffed when we got the invite to come race such a unique event. 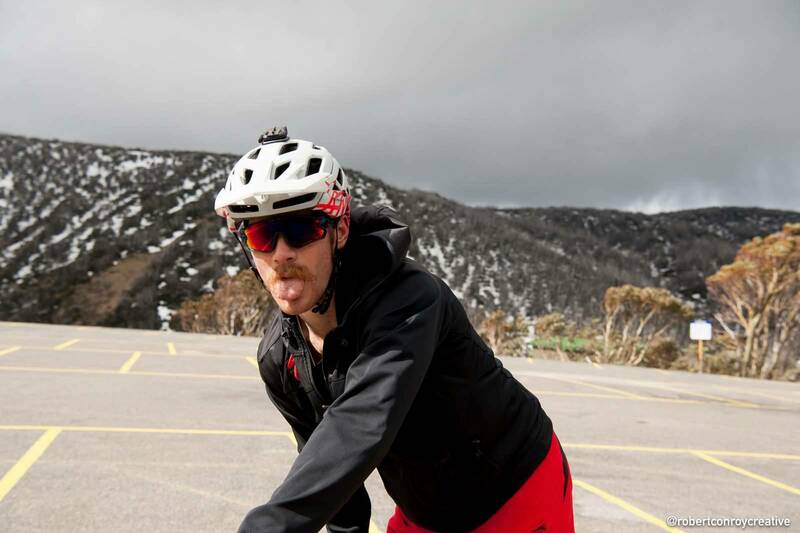 Our little road trip crew consisted of regular tester Lachlan McKillop and Bright pinner Sebastian Jayne. Loading up Friday morning we punched it straight down the mighty Hume, picking up Seb in Mount Beauty. The road from Beauty is beautiful. The long and winding road is lined by tall stringy barks all the way. The landscape is damp, the forest itself spectacular. As we gained altitude snow was more and more prevalent. Being the last week of the season there is less than the height of winter but plenty enough to get our excitement levels pumping. Around us snowy peaks rise up, the valleys flowing away below. Cradled on top of the range, we arrive in Falls Creek Village. It’s just before dusk and we race to the information centre to grab our race plates and accommodation key. It’s a simple cabin with a characteristic iron mark burned into the floor. There is a rush to unpack and more than one of us falls through the soft snow in our hasty entry inside. Snow is limited around the village but there are still a few random patches left around the streets. 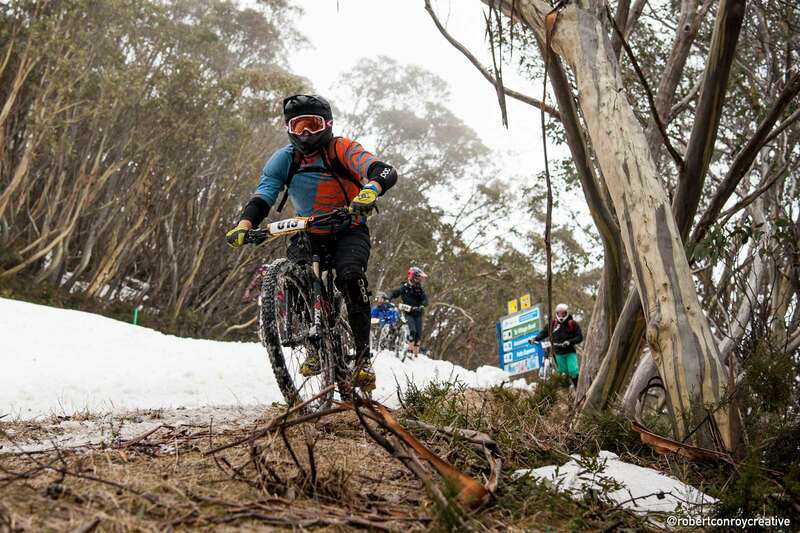 Keen to get some practice in before the big day, the hunt begins for a snowy line. Chance has it there is one just outside our door. Lachlan spies “The Rampage” line across the street, a snow pile with a flimsy natural take off and lander. Despite the fact we all think he’s about to die, he hits it anyway. The kicker holds and he lands to flat but unfortunately the video isn’t rolling. Take two. 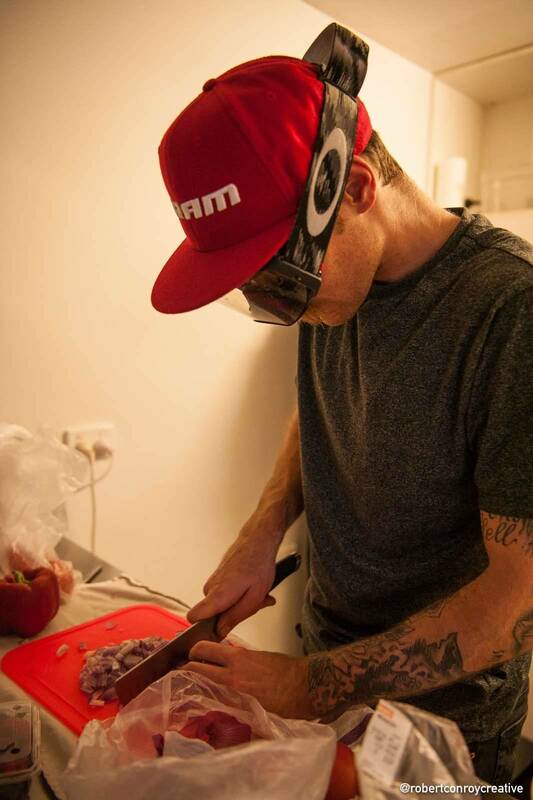 Seb plays it smart and Lachlan drops in again. 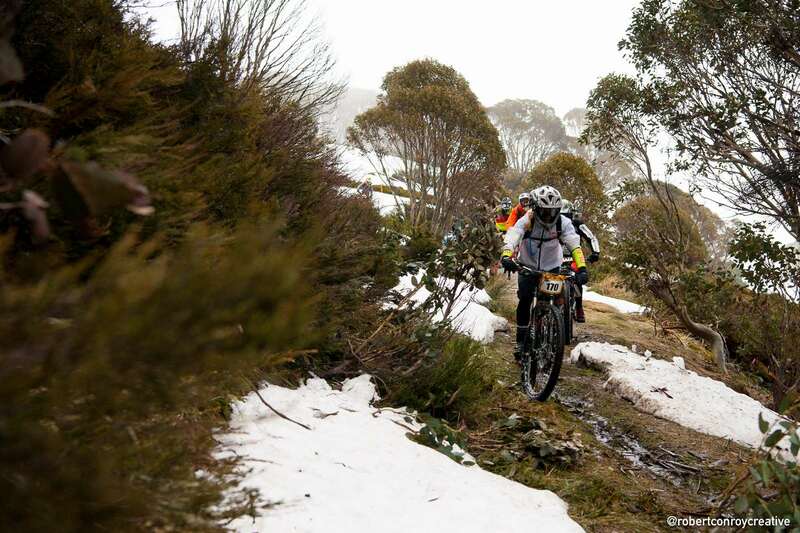 The kicker gives way and the front wheel digs into the snow, narrowly avoiding an over the bars accident, Lachlan rolls out on his crotch. It’s time to grab the helmets. We move a little more up the street, where there is a continuous section of snow between two buildings. We’re like little kids discovering snow for the first time. 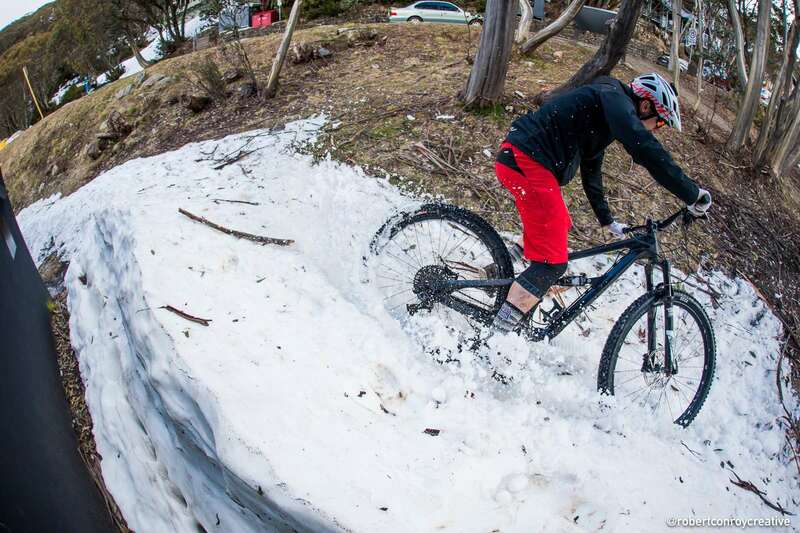 It’s built up against the side of the buildings, creating natural berms, a perfect slalom course. 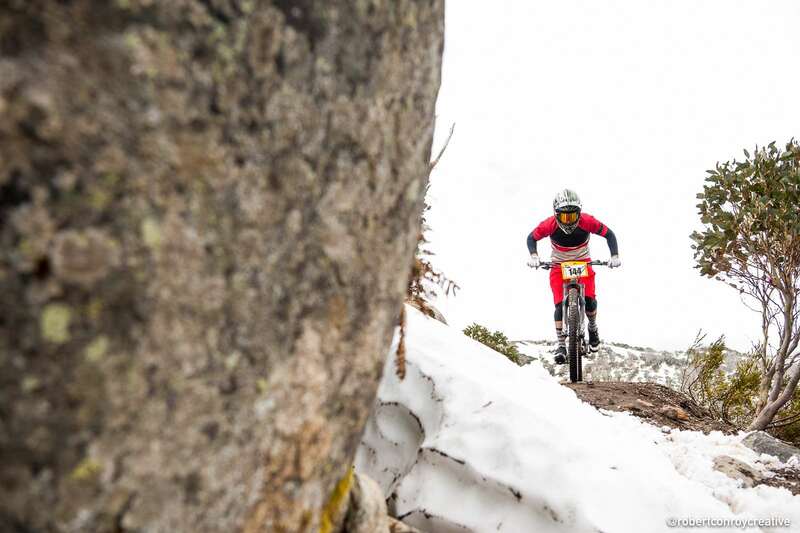 With every run the ruts get deeper, it’s a struggle to stay upright but we’re grinning from ear to ear. Someone runs back to the apartment to grab the snow shovel and we carve out more of a berm. Less than a minute and we’re back in action. The mini session continues for some time before the growing night forces us out of the cold and back inside. 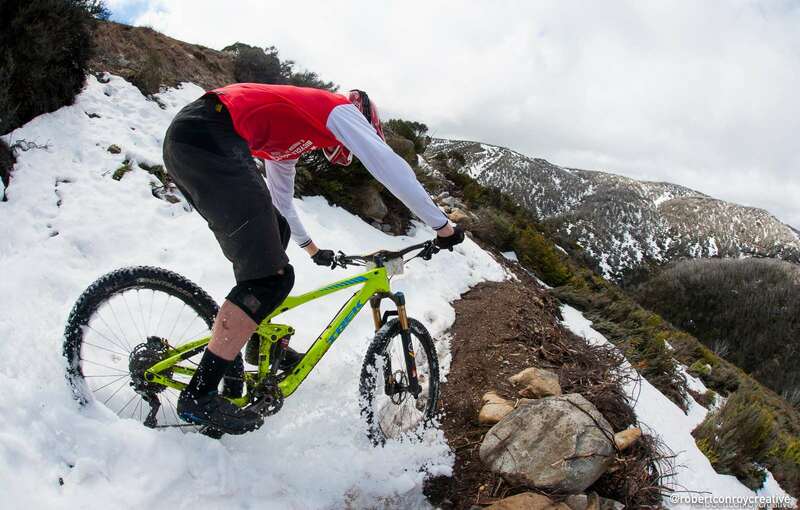 It’s a strange adventure, we’re mountain bikers in a skiers world. There are plenty of odd stares from ski folk in over trousers and double hoodies, but that could be because we are wearing shorts. 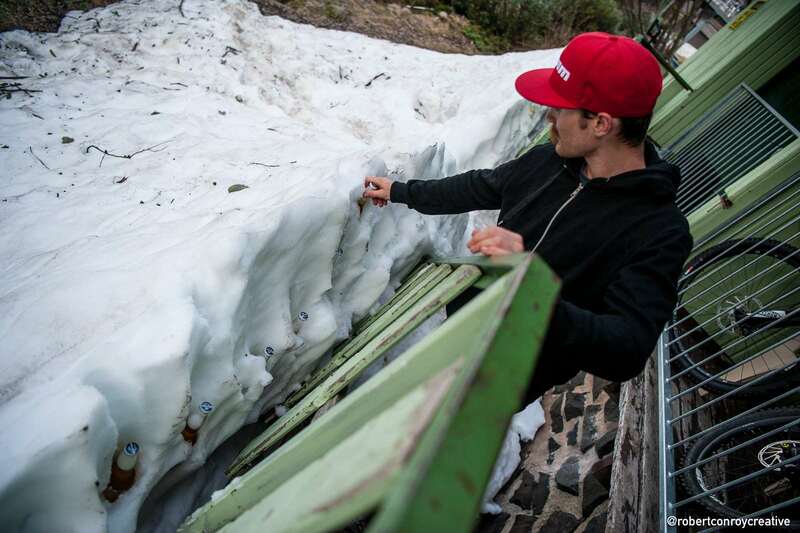 The upside to the end of the ski season is there is still plenty of life left in the village. Generally by the time we get to them in summer there is a corner store open and little else. Despite all the extra food services on offer we still head to the humble local pub - ‘The Man’. They do an excellent burger, pizza and salad. We returned home to prepare for the big day. Wet and cold weather was expected. Extra items of clothing were found and everyone got to bed early for the even earlier start. Race day. 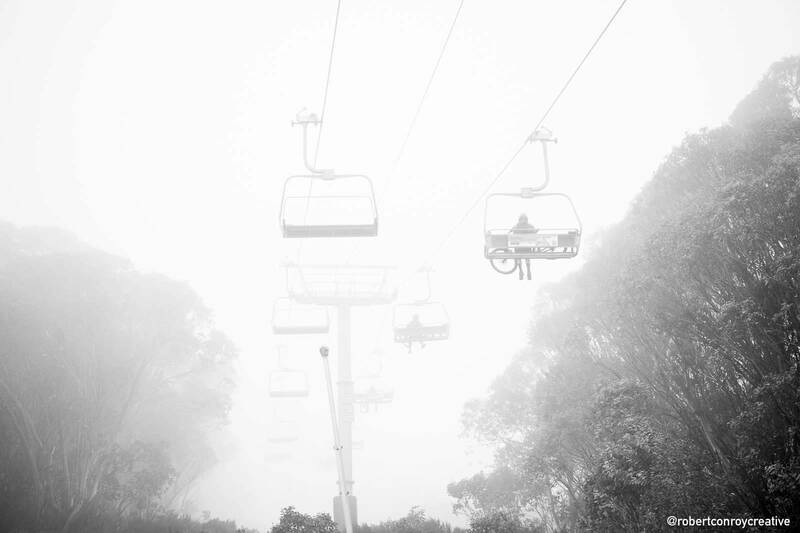 It’s cold, the fog sits low and visibility reduces the higher we climb. 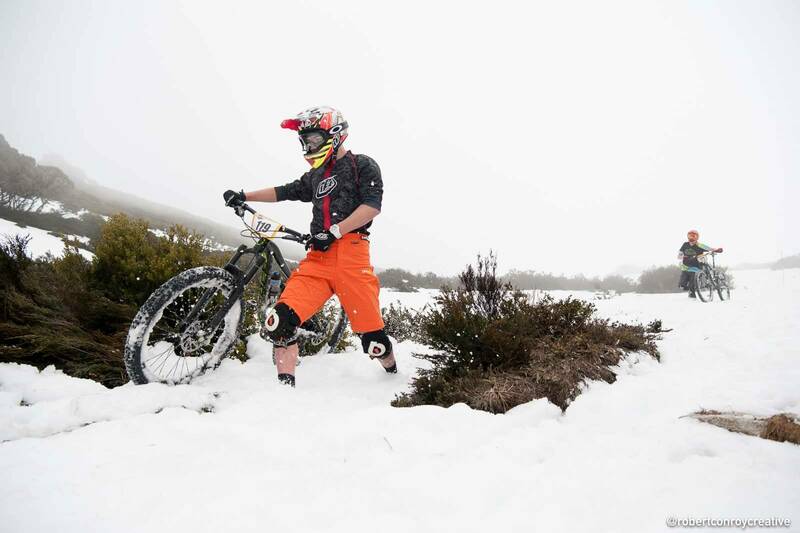 Everyone rocked up for rider briefing huddled in the warmest gear they could find. Iain Morrison appeared in high spirits in his Hawaiian shirt and a few course tips later it was time to head up the hill. Bikes sit on laps as racers head up the chairlift one by one. At the top it’s time to hike-a-bike to the summit, luckily full faces are compulsory and most of the heat stays within. It’s a good half hour hike to the top of Mount McKay, there the Falls crew are waiting next to a big McKayos sign branded in the snow. It’s a short wait to the start, the wind picks up and the fog well and truly has set in. The flag drops and racers are off. Seb leads off the front behind last year’s winner Paul van ver Ploeg. Lachlan hits out hard running with the rest. All around is chaos. The snow is soft and hard packed all at the same time; each footstep is a different result to the last. Some try to ride but quickly fall short. Out of the fog quickly emerges a path marked by poles and the pace continues down the side of the mountain. 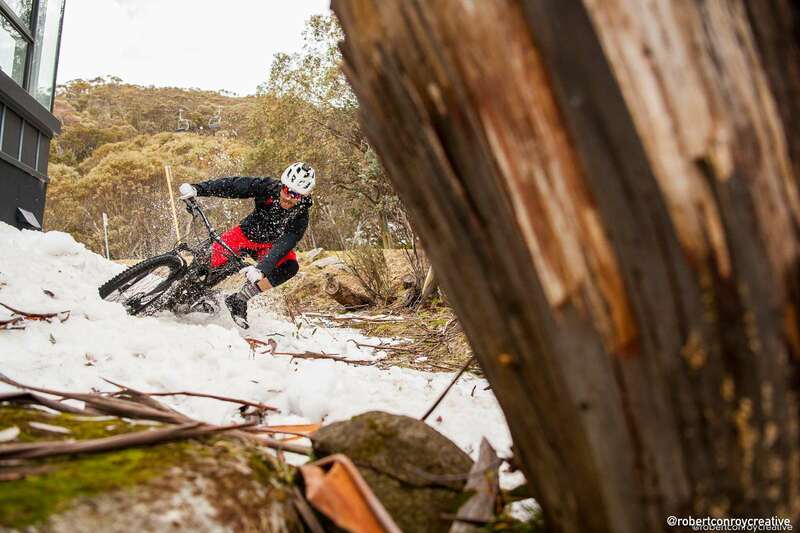 Treading over summer singletrack the snow gives way to boardwalks and mud. The intermittent slushy snow trenches catching people out. 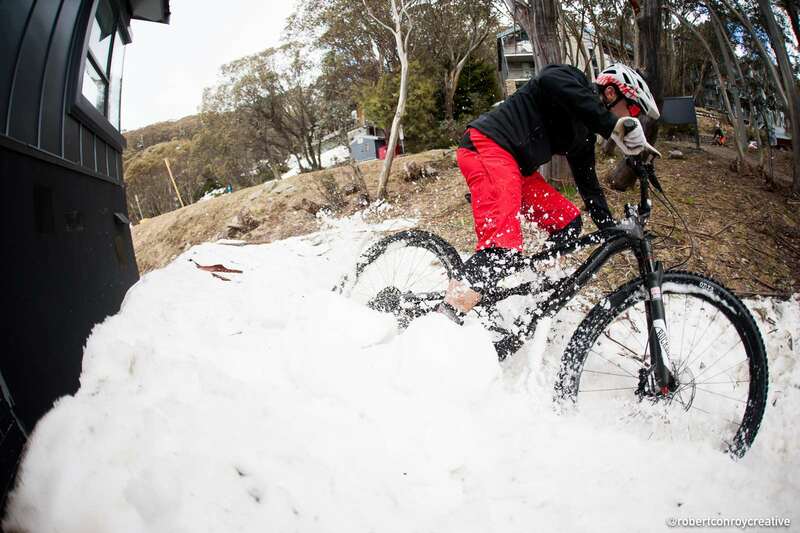 In search of harder snow, Falls Creek moved the event a weekend earlier and compacted the snow. However with the weather the previous day, machines were unable to get up to the peak, which meant whole sections, were unrideable. At race end though no one seemed to mind. 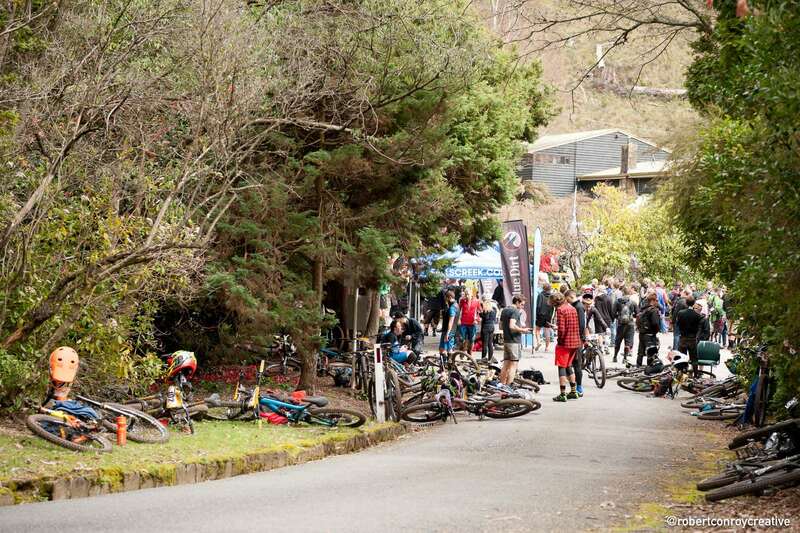 The race drops through the village and the real race starts, the pace quickening with every pedal stroke, the wet trails left behind. 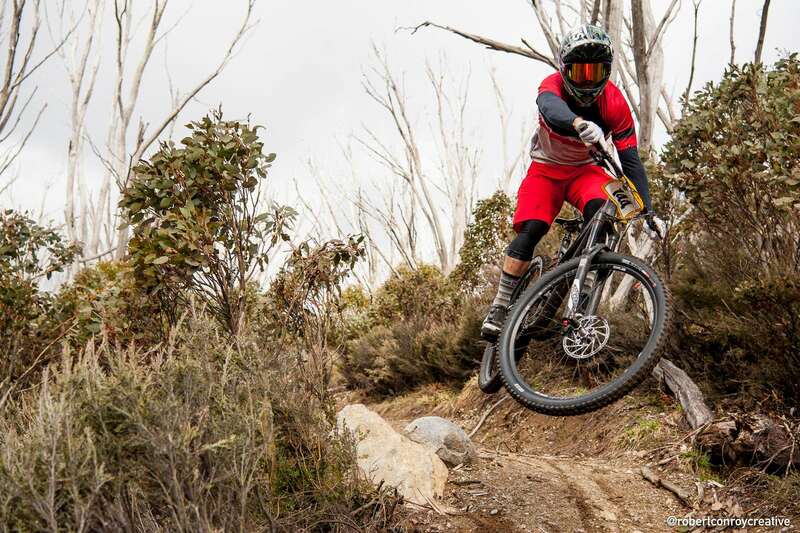 Racing down the up trail of the new Packhorse trail is exhilarating. The corners are bermless and each corner is a task on its own. 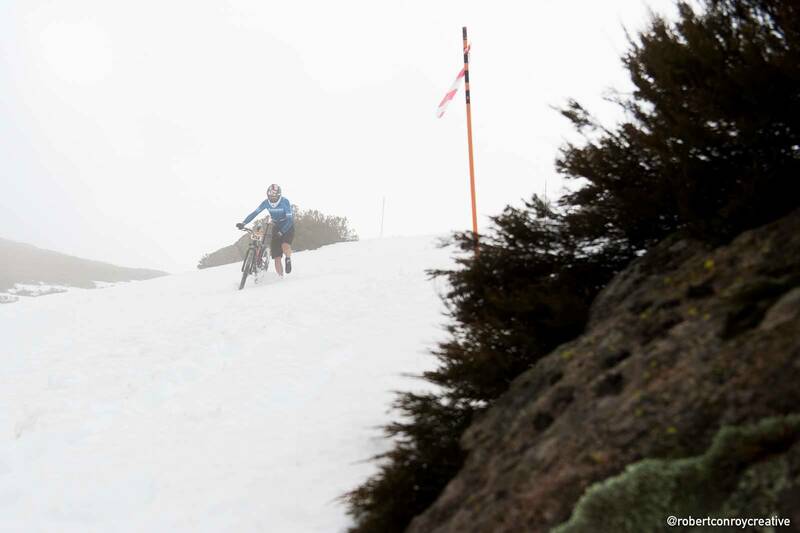 The snow has divided the field; some riders run fast on the snow and are quickly caught in the descent. Singletrack gives way to fire road and that in turn gives way to some interesting sections. Seldom used these access roads are home to deep ruts and tricky moss covered turns. There is a little up for variety but it is very much a downward trend for the over 40 minute race time to Bogong Village. 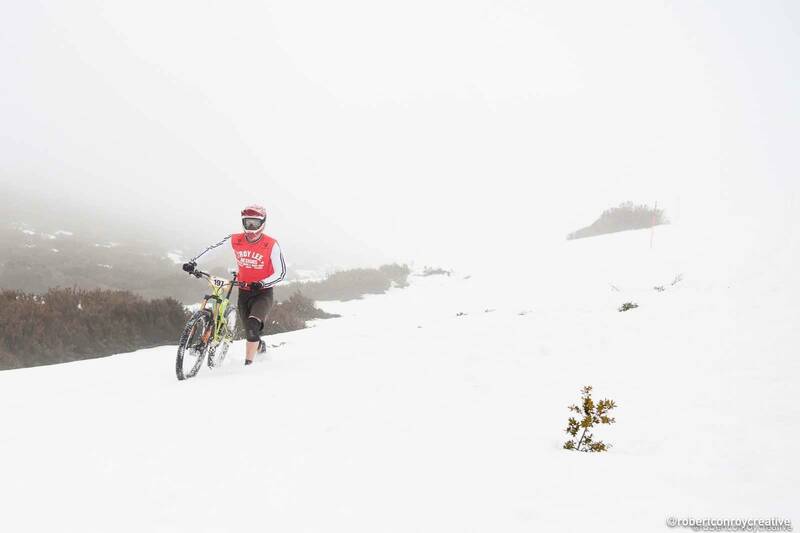 The end is in sight, the fire road mixes with singletrack once again, hurtling toward and over Bogong Dam. 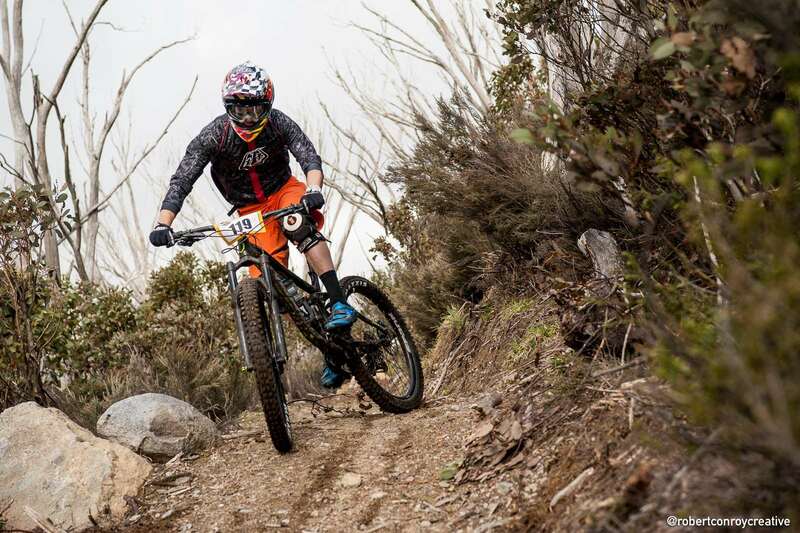 Paul van der Ploeg seals the win, whilst Seb comes home in a surprising second, Lachlan fourth. Lisa Brydon takes the women’s win, whilst young Ben McIlroy puts the moves into chasing down Paul Van Der Ploeg for the win in Junior mens. With sausage sangas in hand the talk turns to the race just past. 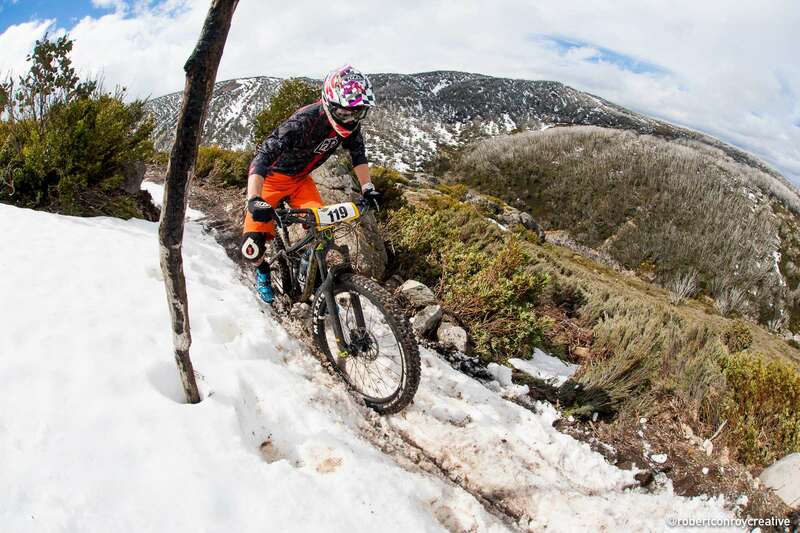 McKayos is a unique experience; it’s the only race in Australia where you can ride on snow. 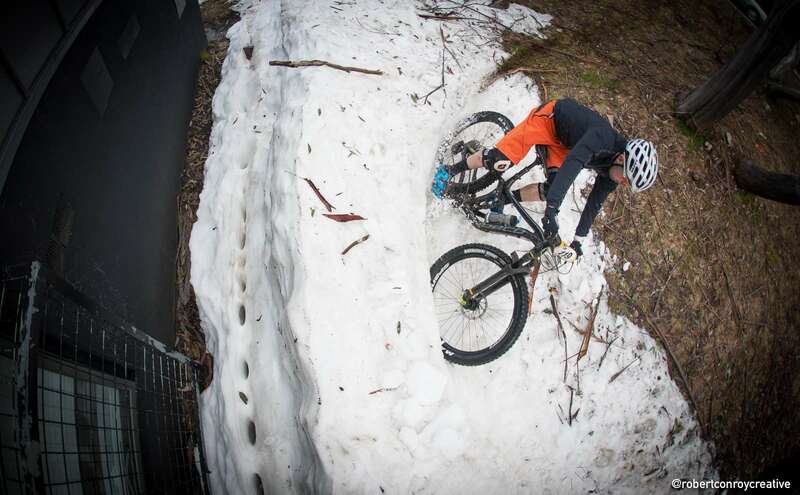 There is no doubt the snow is the drawcard. In the end while no one expected so much running, it definitely hasn’t dissuaded any of us from returning. That seemed to be the case for whoever you talked to around the finish and with people making mostly a five hour plus trip in any direction to get there. That is saying something. The ride back to Falls is punctuated by more talk of crashes, near crashes and dangerous overtakes. 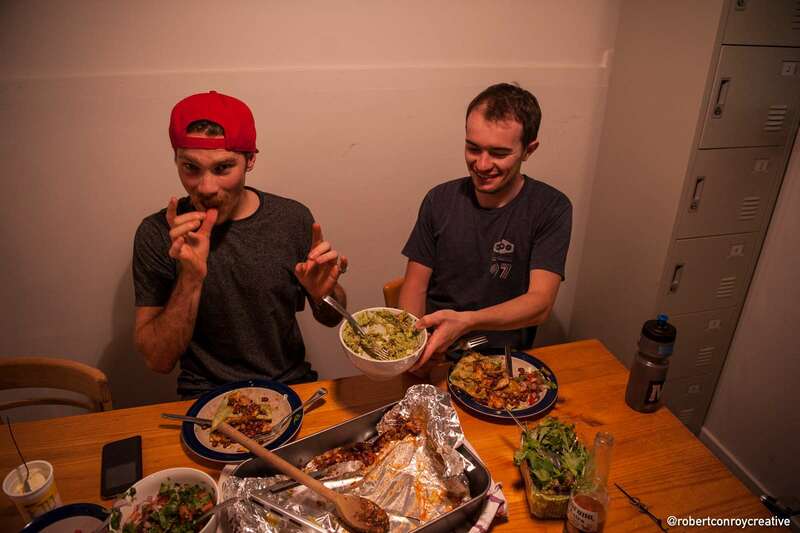 We slip into the Stingray bar and get an awesome post race feed of burrito bowls. It’s midday and with an extra night of accommodation before driving, we get back to spot hunting around the village. 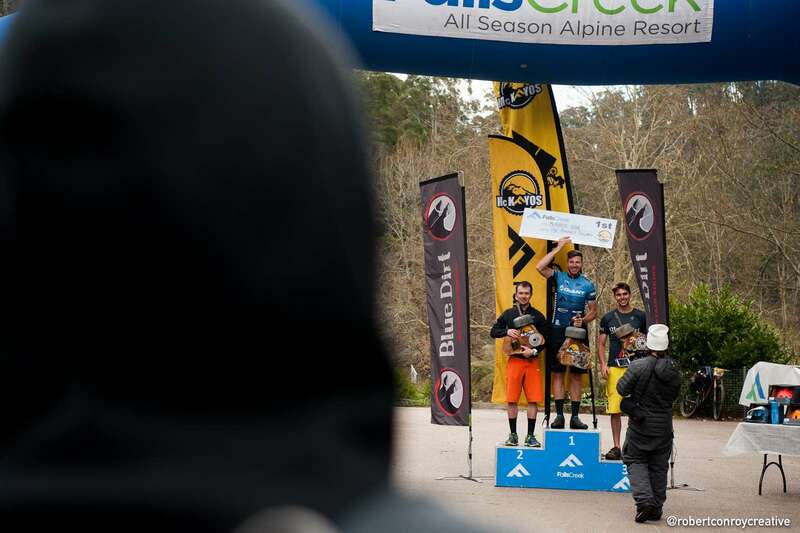 It was one of the most exciting races the three of us have been to and with all that Falls Creek are doing to make it better each year, we will be back again. 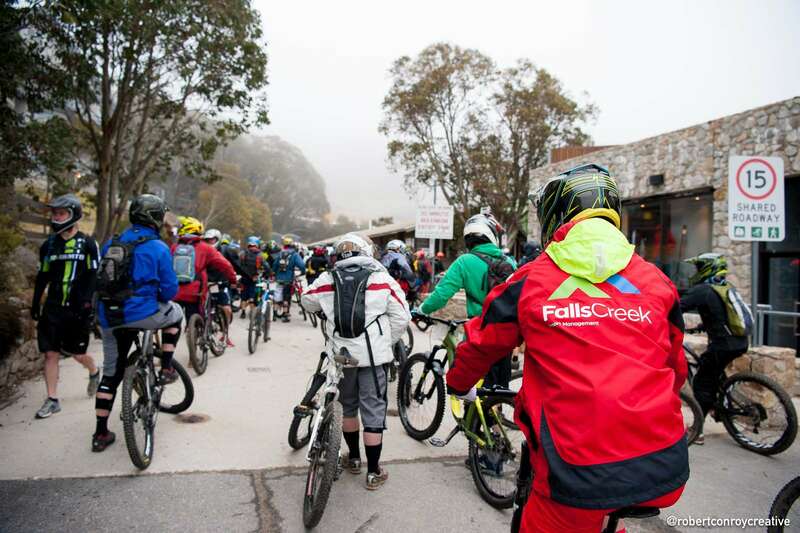 Thanks to Falls Creek for hosting our crew – want to know more about next year?